Okay, the lady has lost her marbles. First Maxine Waters said she never brought up impeaching Trump, the same day she sent out a tweet calling for the impeachment of Trump and days after she spoke out at a rally leading a cheer of“impeach 45, impeach 45, impeach 45.” Since then she’s called for Trump’s impeachment a few times more, and even going as low as saying the reason Jason Chaffetz was resigning from congress was his [non existent] ties to Russia. That was followed by another conspiracy theory Rex Tillerson is secretary of state because he wants to help Russia get all of the arctic oil. But today, Thursday May 18th–today takes the cake. Yes America, Vlad Putin or his Kremlin club came up with Crooked Hillary, makes one wonder if he also came up with Little Marco, or Lyin’ Ted Cruz, Low Energy Jeb, Pocahontas, or Bat Sh*t Crazy, Bernie. Oh wait that last one is what I called Bernie. 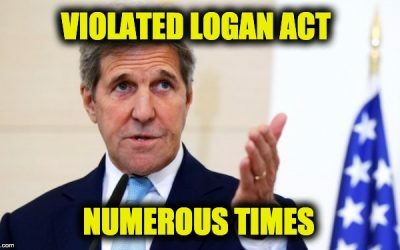 Maybe while he was taking those shirtless horse-rides the Russian tyrant let his mind wander to come up with catchy nicknames for American Presidental candidates. Or maybe it’s time for Maxine Waters to take over the nickname I gave Bernie Sanders because it’s becoming very clear the California Congresswoman’s obsession with President Trump and the Russians has made her a few fries short of a Happy Meal. Wacko Waters answered “No, there has not been. And she went on to explain what she said every time she talked about impeachment–which just a few weeks ago she said she never talked about! I have never been a fan of the Democratic Representative from Loony Tunes, but it’s starting to get sad. This woman is no longer just a corrupt politician, she is showing signs of needing a straight-jacket. Contradicting herself, contradicting the contradiction, and the coming up with conspiracy theories so crazy that even Rachel Maddow wouldn’t repeat them. If Joe and Mika have a heart, they wouldn’t invite Maxine Waters on their show anymore–it’s kind of mean–the woman has lost it and gets crazier every day. 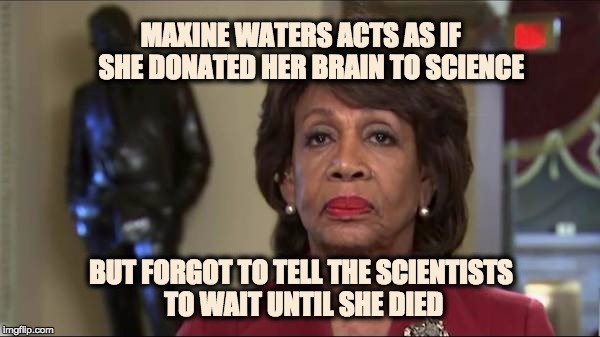 Even though she brings comic relief it is sad to see this woman who seems to have donated her brain to science but forgot to tell the scientists to wait until she was dead.